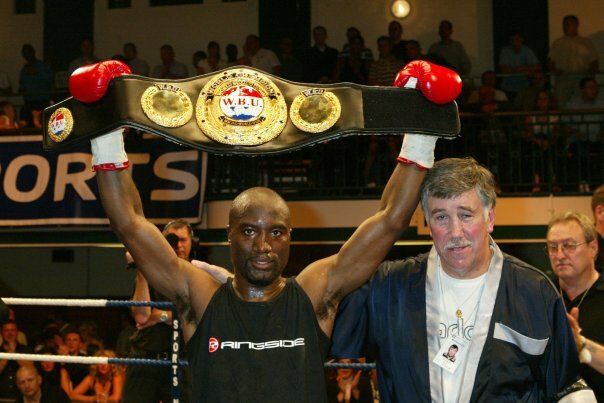 Just over nine years ago, then British and European Light Middleweight Champion, Wayne ‘Alexander The Great’ Alexander stepped into the ring to face Mehrdud ‘The Margate Rock’ Takaloo for the World Boxing Union crown. On what Wayne describes as the greatest night of his life, the South Londoner put in a sensational performance, knocking Takaloo, a former WBU champion himself, out in the second round, to be crowned the WBU Light Middleweight King. Wayne went on to successfully defend the WBU title, against Thomas McDonagh, before retiring from the ring some nine months later. Today it was announced that Wayne has renewed his association with the World Boxing Union, now under the stewardship of Don ‘Moose’ Lewis, by joining the board of WBU Europe. On the 30th November, Wayne undertakes his first official duty for WBU Europe, when he co-supervises the WBU Europe title fights of Mark Prince vs. TBA and Marianne Marston versus Galina Gumliiska, on the Dave Murphy Acourtier Events promoted WARZONE event, which coincidently takes place at the very same venue that he won his World title, the York Hall in London. Speaking from his home earlier the former Champion barely hid his joy at renewing his association with the World Boxing Union. “It’s great to renew my association with the WBU, I won the World title back in 2004 against Takaloo. Over the past couple of years it’s gone by the wayside, so it’s great to see the title I won back then starting to get back on the map. Honestly it’s an honour, I really mean that, I can’t thank Rio (Gianluca Di Caro - President WBU Europe) and Don (Don Lewis – President WBU) enough for having me as part of the team. It really is an honour, boxing is my life, it’s what I do, so to be involved on the World boxing scene again is really special to me, I really mean that. I’m looking forward to November 30th and being an official on Mark’s (Mark Prince) fight. I know Mark quite well, I’ve known him since about 1992, when we were both still amateur, he was with the Enterprise ABC and he turned pro a couple of years before me, he was with Carly Carew. I was going to go to his comeback fight, but couldn’t make it, this time I’ll be there, in an official capacity. The other WBU title fight will be a bit different for me, personally I haven’t been following Women’s boxing, up to now that is. I’m not disrespecting Marianne (Marston) or Galina (Gumliiska), but it’s like any male dominated sport, it takes a while before the Women’s side is fully accepted by everyone. Please go online to www.wbueurope.eu or www.wbuboxing.org for additional information on upcoming WBU and WBU Europe sanctioned title fights.